I’m usually useless when it comes to doing anything with my hair, but I tried something out the other day, and really loved the result! 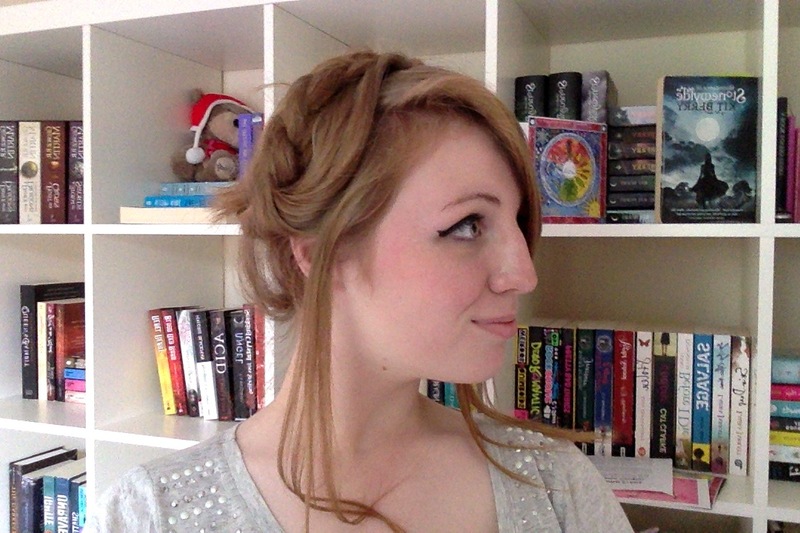 I thought I’d do a tutorial post on the blog today – milkmaid braids perfect for a visit to King’s Landing! 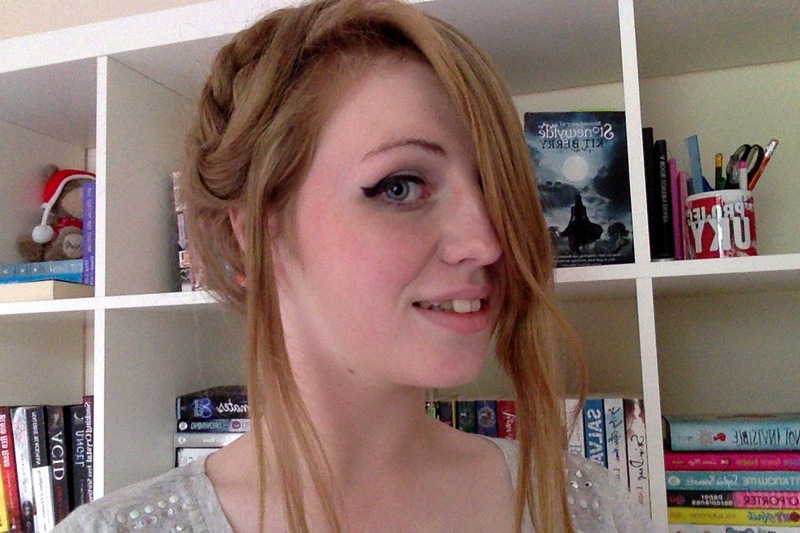 I’m obsessed with Game of Thrones at the moment and this hairstyle really reminded me of Westeros, so hopefully I’ll be able to start a series out of this. 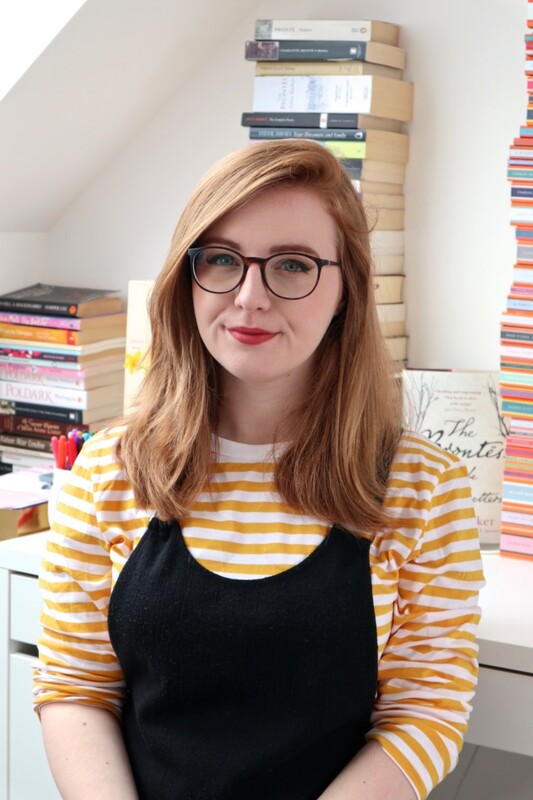 Bookish looks rock! For me, this works best with newly washed hair and it’s so, so easy to do. For someone like me who can’t do hair to save her life, I felt such a sense of achievement after doing it! 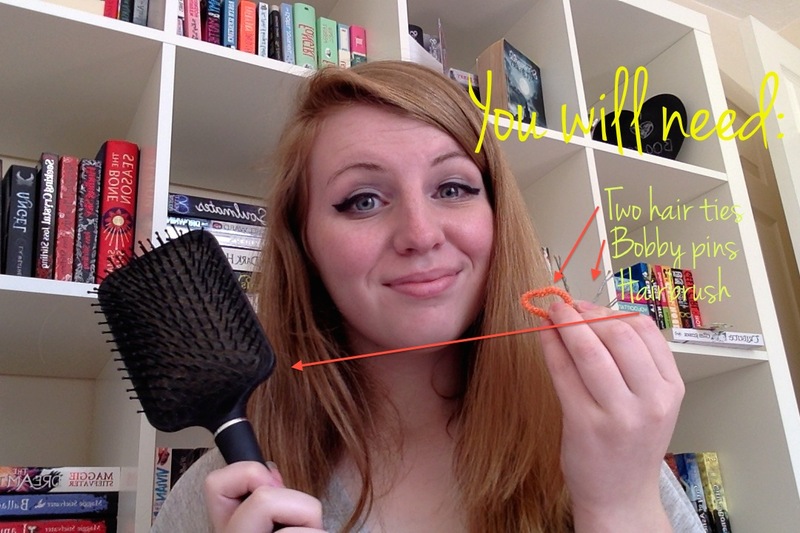 Two hair ties, bobby pins and a hairbrush. 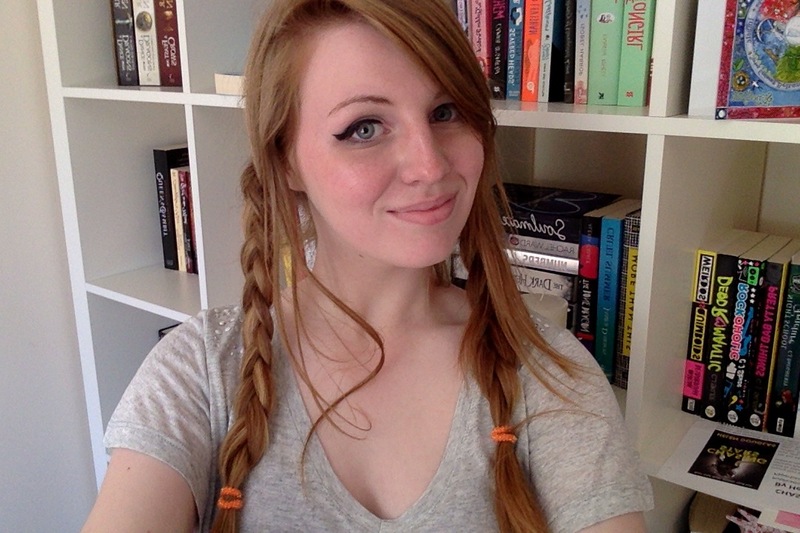 Part your hair down the middle, and braid your hair into two plaits so it looks like the above picture. 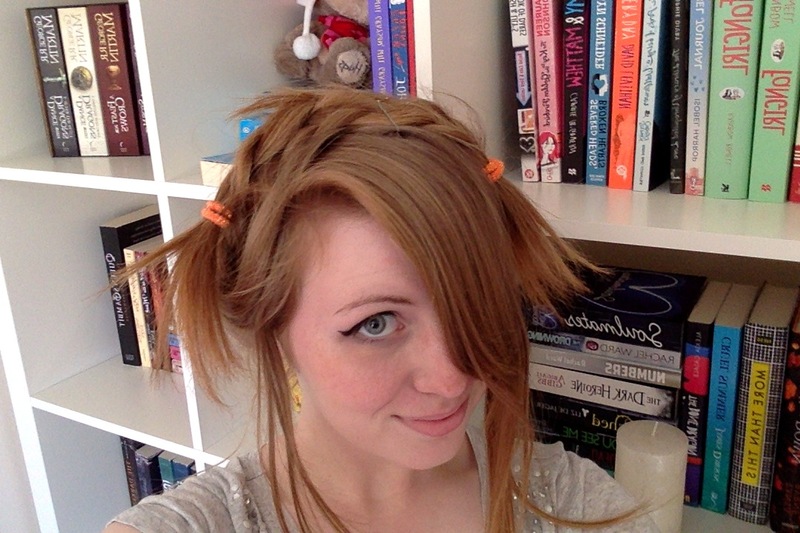 I kept my fringe and some of my hair out of the plaits on both sides, which will frame your face in the end result. Lift one plait over into the centre of your head and secure in place with bobby pins. Then repeat with the other side – it can either go on top of the first or behind. 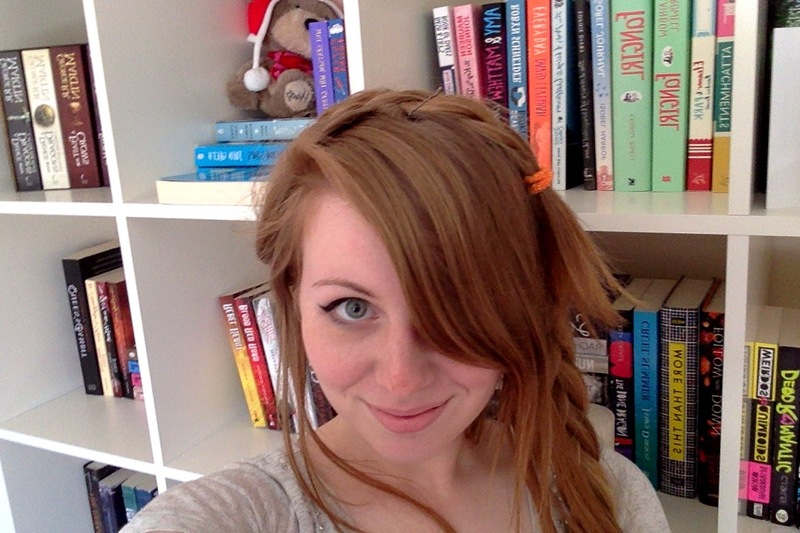 I chose to put mine behind to make it one big plait. It looks messy at the moment, but the next stage will really sort that out! Tuck in the loose ends – to do this, tuck them into the pockets of hair that are attached to the opposite braid. Then pin them into place! Voila! Now just pin any loose strands of hair down and your done! Strut your stuff! I hope this has been helpful! I’d love to do more tutorials in the future – the pictures in this one weren’t amazing, but it was only a spur of the moment decision to write this post. Will you be trying this out now? I’d love to see pictures if you do! Very pretty! Your hair is an amazing colour too! Oh cool! This looks so easy…until I try it. I’m pretty pathetic at doing hair as well so I hope this will be an easy hairstyle for me too. Btw you have really pretty hair! You could definitely make a series out of this! Not just with GoT but other books/tv/films too. Hermione curls anyone? Rachel recently posted…The Warner Bros. Studio Tour!